Smart Sync works on Microsoft Windows 7 and above and on Mac OSX 10.9 and above. Using Windows Subsystem for Linux (WSL) to access Smart Sync files is not supported. You may experience errors or files may appear to be empty when trying to open a file that is Online-only. 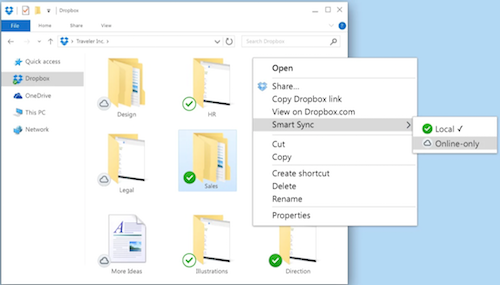 Some applications you're using may need to re-sync files to your computer's hard drive to function properly (like applications with a "recently viewed" menu). 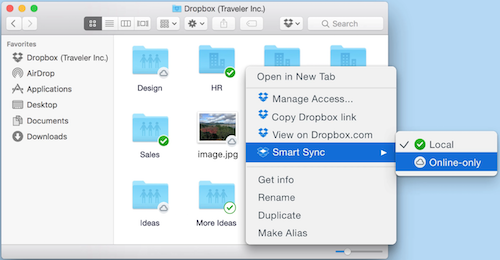 In some cases, Dropbox will attempt to switch the file back to online-only as soon as possible to minimize usage of your hard drive space.